Can a CPAP Cause Lung Problems? Can Sleeping on the Left Side Prevent Heart Attacks? What Is the Procedure for a Sleep Apnea Test? Getting good sleep is necessary for basic health and wellness. If you or someone you love is having trouble sleeping, it's only natural to wonder about potential sources of the problem and to search for possible solutions. While only a qualified medical professional can make a definitive diagnosis, learning about various problems that may impact sleep can help you get started gathering the knowledge that you need for positive change. 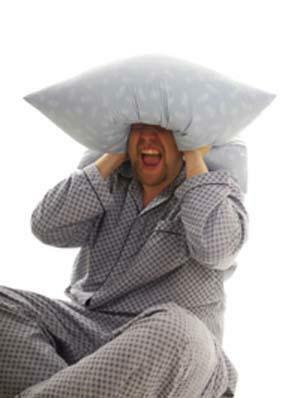 Insomnia: Learn about the relationship between alcohol and insomnia, as well as medications like Clomid and insomnia. Diet-related: Find out about the relationship between coffee and sleep and learn how eating can keep you awake. Muscle-related: Get information about night leg cramps and muscle spasms during sleep that may indicate restless leg syndrome. Medication: Find out about the use of Ativan for the treatment of insomnia. Natural remedies: Discover how vitamins can help with conditions like restless leg syndrome. Strategies: Learn seven techniques to improve sleep and ten tips for a better night's sleep. When you are looking for basic information on sleep problems such as symptoms, causes and treatments, LoveToKnow Sleep Disorders can be a great source of information. While you should not attempt to self-diagnose, the information that you find here can be a great way to start educating yourself about what may be causing the sleep-related challenges you are facing. If you have trouble sleeping on a frequent basis, be sure to see your physician for diagnosis and professional advice.